The principle of Hyper-V is to allow multiple guest operating systems to run concurrently on a Windows 8 host. The benefit is to save on hardware costs. Windows 8 contains Hyper-V 3.0 support. 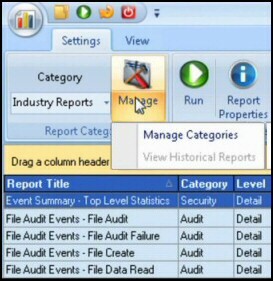 The technology is almost identical to the hypervisor built into Windows Server 2008 R2. Who Will Use Windows 8 Hyper-V 3.0? Windows 8 Hyper-V will need a 64-bit Intel or AMD PC (not ARM) with at least 4 GB of RAM to support 4 virtual machines. Perhaps the ‘killer’ feature of Windows 8 Hyper-V is support for 64-bit guest operating systems. One of the FAQ is, ‘Will the VM support USB drives?’ The answer is ‘Yes’. Another key component is Second Level Address Translation (SLAT); that reminds me, learn from my disappointing experience and check with the manufacturer that a proposed machine will support Hyper-V 3.0. Windows Server 2008 R2 style dynamic memory for on-the-fly memory re-allocation. (Not advised for Exchange). To supervise the virtual machine settings and activity, launch the Remote Desktop Connection, I prefer this to the VM Console. 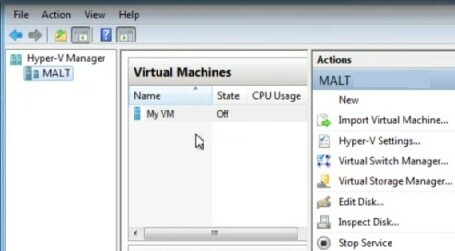 One flashy feature is "live storage move" which means you can transfer virtual machines even while they are running. There is also a handy snapshot capability for going back in time when you are testing. Unlike its predecessor, Hyper-V 3.0 will support the normal Windows Update for hotfixes and patches. It was no surprise that gamers shun virtual machines because of latency problems, but I did not realise that music mixing apps suffer from distortion in a VM. While I don’t use bit-locker myself my friend Eddie said his would not work on a guest of the Windows 8 Hyper-V machine. I had not even thought of using wireless technology with VM, my friend Eddie reported that it was possible, if fiddly using ARP proxying. To install the VM manager, go to the Control Panel, Turn Windows features on or off, tick the box, reboot and Hyper-V is ready. The first job for a Virtual Machine manager is to create a virtual switch so that your guest can connect to other machines. The second job is to create a Windows 8 virtual machine from an .iso file. When you go the Control Panel, Programs and try: ‘Turn Windows features on’, if Hyper-V is greyed-out, then when you mouse-over you should see this message: ‘Hyper-V cannot be installed you don’t have SLAT capabilities’. If you haven’t installed Windows 8 yet you can check this SLAT pre-requisite, you CPU name should begin with ‘i’, for example i7…. If it begins with Q or E, then it won’t support Hyper-V.
My guess is that businesses who are too small to justify the Small Business Server (SBS) may be tempted by the idea of having just one, or may be two main machines for the bosses, and then providing virtual Windows 8 guests for their part-time employees. Virtual machines are ideal for those in testing multiple operating systems, or those techies wishing to trial new configurations that are too risky to try on a production machine. Perhaps I am now going into the realm of fantasy land; I see a traditional family of mother, father and two children. Dad takes charge of the IT, and buys himself a brand-new machine with Windows 8, then he sets up Hyper-Visor and provides Windows 8 guest operating systems for the rest of the family. Schools and colleges, who are eligible for Microsoft’s educational licences, may be tempted to expand their computer network through the use of Windows 8 with Hyper-V, rather than upgrading their old servers that nobody understands how to configure. Trying to get a grasp on Microsoft’s licensing is like shooting at a moving target. And it seems I am not alone as training companies offer 3 day courses just on the one subject Microsoft licensing. I will leave the subject by saying if you want to stay legal and avoid virtual machines shutting down because they don’t have a valid product key, please do your own research on Windows licensing. For instance, Microsoft’s Software Assurance licensing option includes Microsoft Enterprise Desktop Virtualization (MED-V) for Windows 7. Apparently MED-V is also available for $1 per user per month more as part of the Microsoft Desktop Optimization Pack suite for Windows Intune subscribers. And there are the MED-V access rights as part of the Virtual Desktop Access license. All that is moderately clear! But you can expect changes in licensing when Windows 8’s Hyper-V hits the streets. Virtual PC and Virtual Server 2003 were used mainly for testing and training. However, thanks to lead taken by the rival VMware software, it soon became apparent that you could deploy Microsoft virtual machines as a cheap alternative to buying new physical workstations. Other reasons for the rapid uptake of virtual machines based on Windows Server 2008 were the speed of rolling out, ease of configuring, and the general ability to support a large workforce with robust computers efficiently. One hidden benefit of virtual machines is protection from every company’s user-from-hell, that man who finds a new way to trash his machine every month. With virtual machines no worries, you just create a new VM. The fewer the layers between the guest operating system and the hardware the better. Thus hypervisor type 1, found in Windows 8 and VMware ESX is intrinsically superior to type 2 found in the old Windows PC and the original VMware. The whole point of virtualization is to emulate an entire guest computer environment inside the operating system of another computer called the parent or host. The hypervisor software controls instructions between the hardware and the management operating system, in this way the host supplies each guest’s access to hardware resources. .VHD is a large physical file that holds all the data for the child operating system. These .VHD files are the fastest way of copying templates of ready-to-go operating systems. By 2011 there is no need for me to labor the benefits of virtualization, the saving on hardware, support and running costs are well established; the only debate these days is whether virtualization is more beneficial for clients such as Windows 8, or servers such as Windows 2008 R2. There is also an element of virtualization coming full circle, by that I mean it’s still widely used for testing. Failover clustering is a complimentary technology that ensures the availability of applications and services. Clustering is designed so that if one of nodes fails, another node catches the failover and seamlessly takes over, with the result that users don’t notice the change of service provider. With virtualization you handle the deployment of your own servers inside the corporate firewall. Cloud computing on the other hand, is more like an external service where you outsource your computing requirements to a supplier based on the internet. Cloud computing has relatively little up-front cost compared with investing in Virtualization. However, the conundrum is that if cloud computing becomes popular in your organization, then in year or two your computing bill could be considerably higher than if you had persevered with a virtualization solution. Windows 8 Hyper-V 3.0 technology is almost identical to the hypervisor built into Windows Server 2008 R2. Hyper-V will allow multiple 64-bit guest operating systems to run concurrently on a Windows 8 host. While virtual machines are still used in testing, they are now a viable alternative to buying more hardware.